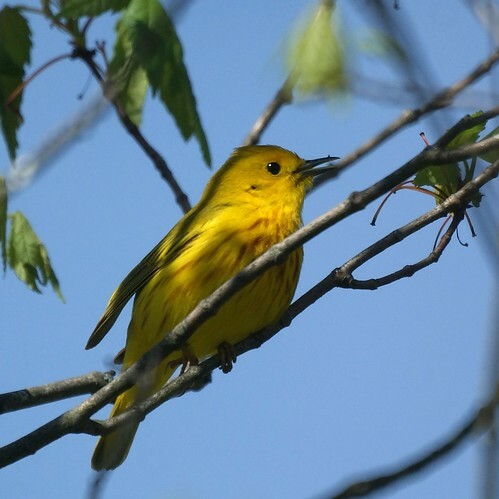 Last year, we went to the Celery Farm in Allendale, NJ and saw a yellow warbler in a small tree among cattails. When we reached that tree today, we paused for a few seconds and a yellow warbler flew into the same tree. 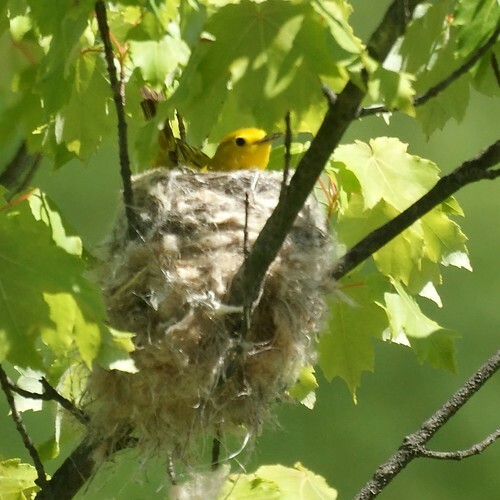 Later another birder pointed out the yellow warbler's nest in a nearby tree.